Boca Raton Child Custody Lawyer | Sole or Shared Parenting? 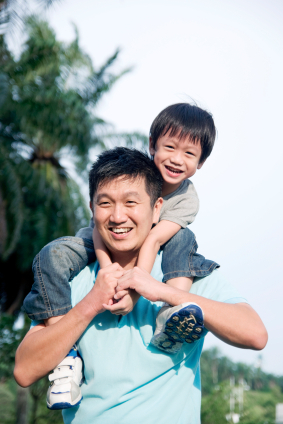 Home / Boca Raton Child Custody Lawyer | Sole or Shared Parenting? A frequent question Boca Raton child custody lawyer Matthew D. Martin receives is whether one parent can get sole parental responsibility of the children. Sole parental responsibility is where one parent has the authority to make all of the major decisions regarding the health, education, and welfare of children. This may effectively eliminate the other parent from being a part of the major decisions regarding the children. Florida public policy is encouraging close relationships between both parents and their children through shared parental responsibility. That is, the Courts want parents to share in the joy and decision making for their children. See Florida Statute 61.13(2)(c)(1). In general, there is not a presumption against a mother or father for time-sharing when creating or modifying a parenting plan. Though, every case is different and meeting with a Boca Raton child custody lawyer can help determine whether sole parental responsibility is a possibility in your case. Shared parental responsibility is Florida’s public policy, except in cases where it is not in the child’s best interest (Florida Statute 61.13(2)(c)(2)(b)) or detrimental to the child (Florida Statute 61.13(2)(c)(2)). Oftentimes, if one parent is awarded sole parental responsibility, that does not extinguish the other parents responsibility to provide support for the child (Florida Statute 61.13(2)(c)(2)). Because the facts of every case varies, Boca Raton child custody lawyer Matthew D. Martin offers free consultations for family law cases to discuss sole parental responsibility. In some cases involving domestic violence, Florida Statute 61.13(2)(c)(2) creates a rebuttable presumption against persons convicted of domestic violence that there is a detriment to the child. That is, if the convicted parent does not rebut the presumption after being advised that it exists, shared parental responsibility may not be granted to the convicted parent. Even if a conviction does not exist, the court can take evidence of domestic violence into account when deciding if sole parental responsibility is appropriate.